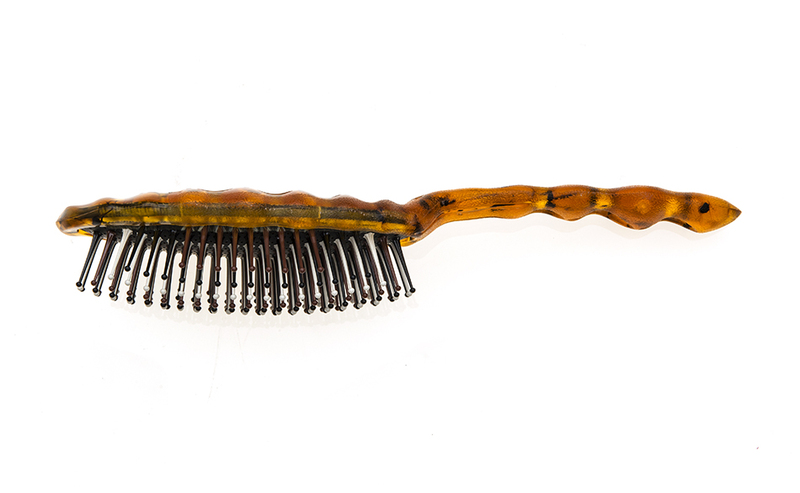 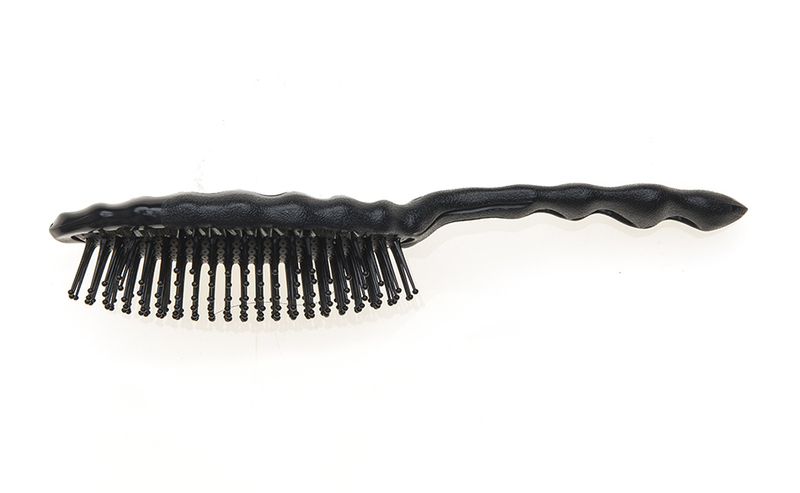 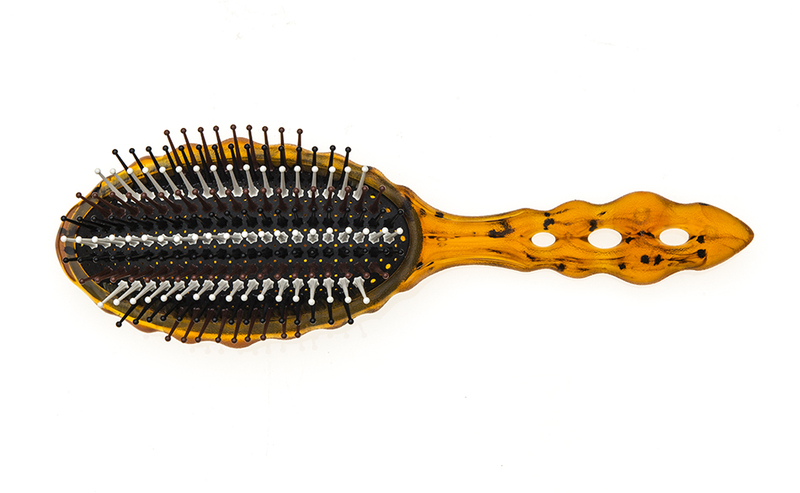 The YS PARK AZ34 brush is a paddle brush that puts usability at the forefront of it design. 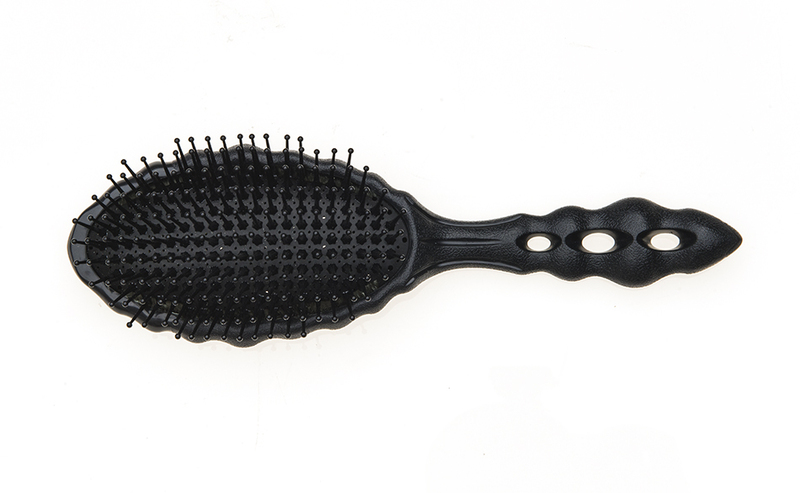 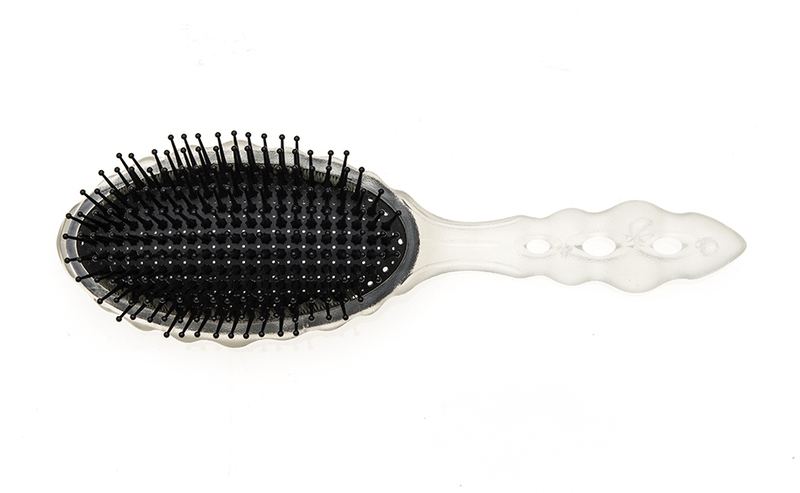 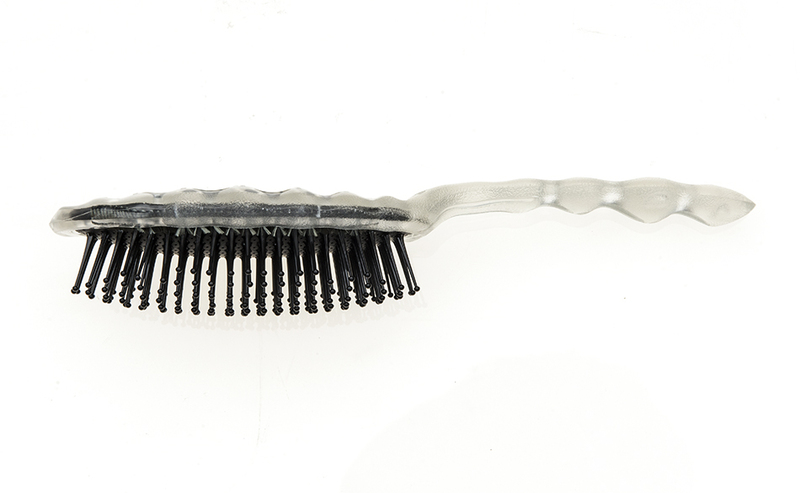 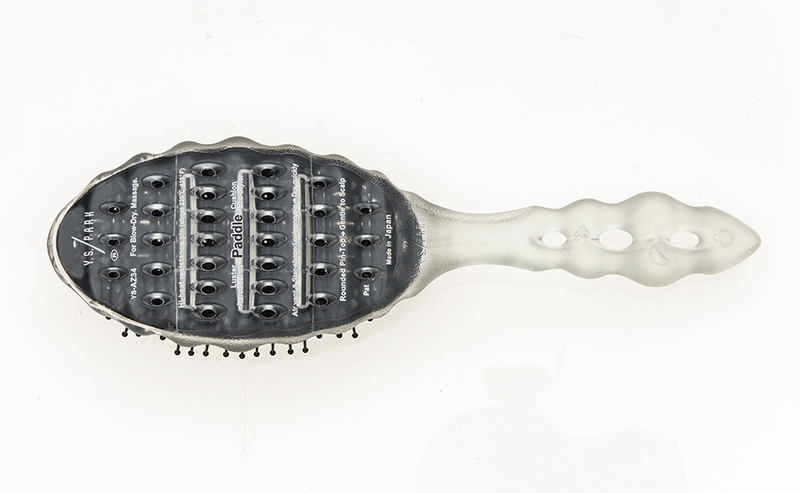 The 30 vent holes in the main body and numerous air holes in the cushion allows air to blow through the brush rapidly cutting down drying times and also reducing damage to the hair. 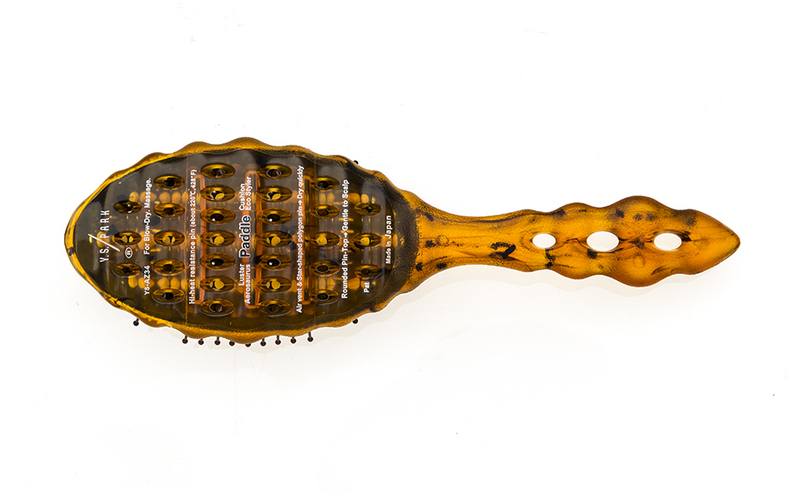 The signature hexagonal pins lift the hair from the root and retain a better hold on the hair creating greater tension when brushing creating more shine. 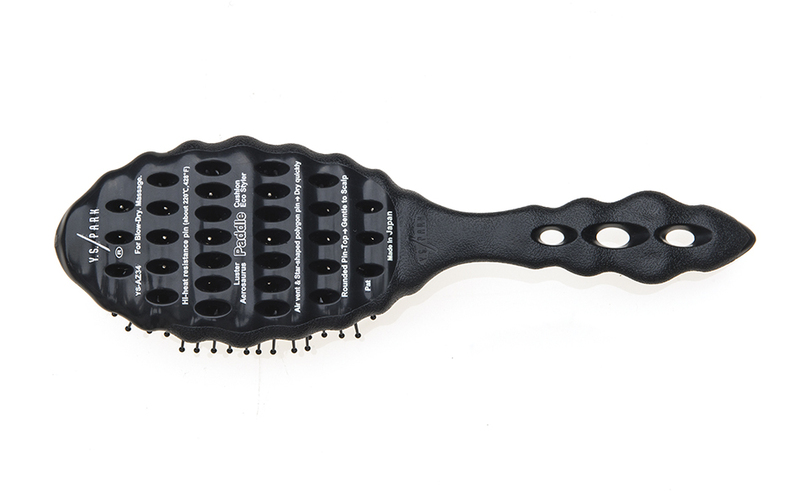 Confidently lift hair from hard to reach nape and ear areas with the oval body and wrap your fingers around the wavy edges when you need more precision and control.